Cover Art: Shows a man’s torso, dressed in open-necked shirt, light-blue jacket with a stethoscope around his neck. Synopsis: Gives the outline of the story from both main characters’ point of view without giving too much away. Plot: Two men who arrange a hook-up after meeting in Logan’s hospital, but then find there is more to each other than a one night stand can satisfy. 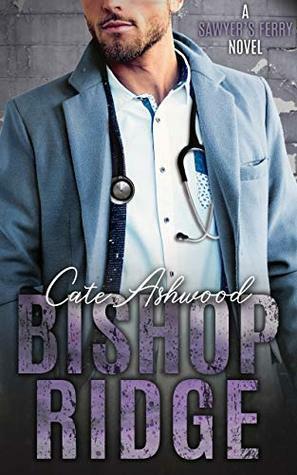 Main Characters: Logan Baker – a doctor living in a converted barn on the family homestead called Bishop’s Ridge Ranch (He doesn’t want to live in the main house because of memories) outside the small town of Sawyer’s Ferry. Jackson Daly – temps on rigs up at Belcourt, turns up at the clinic in Logan’s hospital with a healed bullet wound which is causing problems for him. We are told in the beginning the bullet is still inside but not how he came to be shot. Secondary Characters: Gage and Holden from book one make an appearance together with other friends of both main characters. Flow/Continuity: Flows seamlessly from chapter to chapter alternating between the main characters’ POV. Conflict & Climax: Both main characters are not looking for anything long term but the attraction between them is palpable. They also live a long distance apart so have to make a big effort to stay in touch. This tells us they mean more to each other than just a one night stand. However Jackson is soon to move on. What will this mean for the two of them? Writing Style: Told in the first person alternating POV. Editing/Formatting: Very tidy, each chapter begins on a new page with an attractive script heading and the name of the character who is narrating that chapter. A few minor errors with tenses in this review copy which will have been fixed before publication. Price: At just over £3.00 this is reasonable for the length of book within this genre. Conclusion: This is an enjoyable read, the attraction between the two main characters leaps off the page. Neither guy is looking for anything more than a one night stand but from the moment they meet you just know they are right for each other, but soon they realise that this hook-up has become so much more. When push comes to shove and feelings come into play, will they make a run for it or decide to stay for the long haul? This sounds like an interesting story and I enjoyed your review.